Hey guys! It’s Kari from Life PreKARIous! 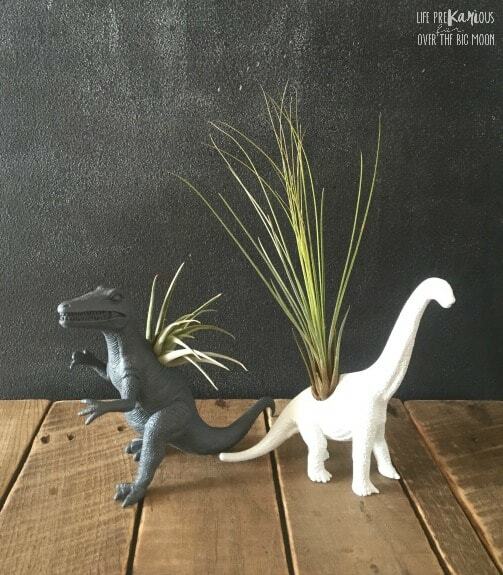 How cute is this DIY Dinosaur Air Plant Vase?! I love air plants! They’re perfect for people like me who lack a green thumb in a serious way. Spritz them with water a few times a week and that’s it! I ordered mine off Etsy and they were only a few dollars a piece. To make the “vases” simply drill a whole in the back of he dinosaur big enough to fit the base of the air plant. 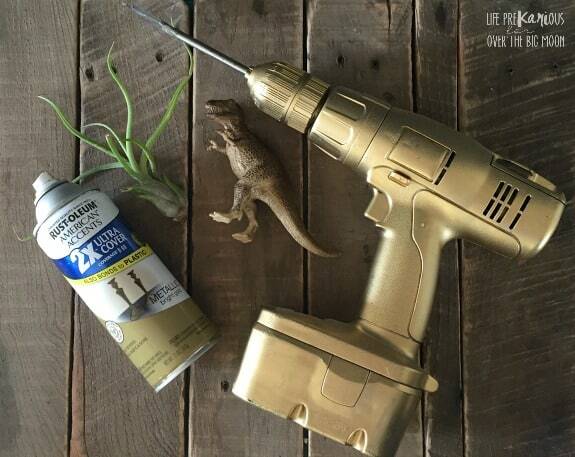 Once you’ve drilled the hole, spray paint the dinosaur the color of your choice. I got a little carried away with the spray paint (as usual) and painted mine before drilling the hole. It worked, but I’d recommend drilling the hole first. To finish it off simply place the air plant in the hole you’ve drilled. I love them so much! 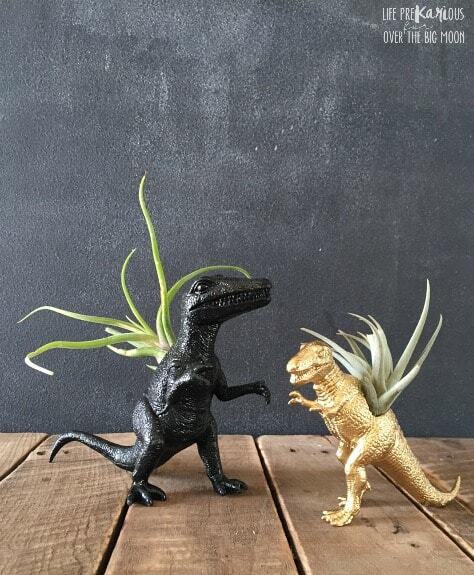 There are tons of different air plant and dinosaur options! I’ve made 4 and already want more! 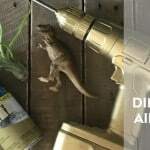 I just can’t say no to dinosaur decor. 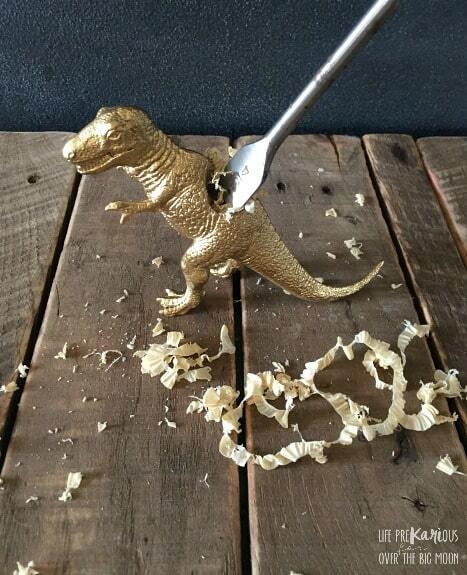 Check out my fun dinosaur ornaments HERE!